Imagine the feeling, You are at 18 meters , just you and your buddy, you followed the dive briefing, visualised the dive, and now after 20 minutes underwater you are feeling confident and exhilarated and wonder why you hadn’t learnt to dive before. Big Squid will get you to to this point and after expert comprehensive training you will be feeling ready and confident to dive in the open water. How to get your PADI. There are 3 Options available through Big Squid in London. This includes all tuition including knowledge development, pool training and Open Water Dives, qualifying you to dive to 18 metres. 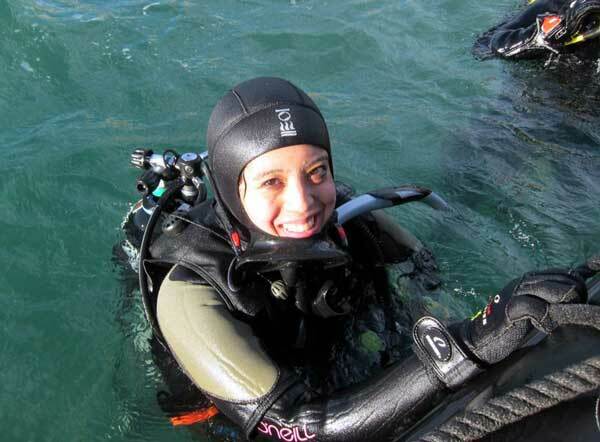 Take your whole course in a Dry suit For an extra £145.00, you will gain a PADI Dry Suit Specialty rating. You will receive your official PADI Open Water Diver certification card which allows you to dive to 18 meters (60 ft) with a buddy. This includes the knowledge development and pool training but excludes the Open Water Qualifying dives. This enables you to complete your training through any PADI dive centre worldwide within 12 months. Ideal if you are going on holiday and want to avoid spending valuable holiday time inside a classroom preferring to be outdoors. You will receive your official PADI Open Water Referral certificate which enables you to complete your training through any PADI dive centre worldwide within 12 months. This is for people who have completed their knowledge development and pool sessions at a PADI dive centre within the last 12 months. The Open Water Qualifying Dives with Big Squid take place at Wraysbury lake near Windsor. The lake is specifically set up with divers in mind and boasts many underwater attractions. After completing your Open Water Qualifying Dives you will receive your official PADI Open Water certification card which allows you to dive to 18 meters (60 ft) with a buddy. Cost: £240.00 or £310.00 if you completed the referral section with another dive school.